Space settlement within the Solar System has profound implications for interstellar settlement. In this column we will make the usual assumption that travel faster than the speed of light is impossible. It is generally assumed that a precursor for interstellar settlement is to find Earth-like planets. These are rare. There is much uncertainty as to how rare, but it could easily be that only one in 10,000 stars has an Earth-like planet. The numbers used in this column are simplified illustrative estimates. Large changes in their values do not substantively affect the arguments. It is also generally believed that almost every star has a substantial amount of material in orbit around it. This material may not include planets, but is very likely to include smaller bodies, such as asteroids and comets. Analyzing a large number of star systems to find an Earth-like planet is likely to include a significant number of interstellar probes. The closest such planet may (for a plausible example) be 100 light years from Earth. If so, a probe that averaged a speed of 50 percent of the speed of light (.5C) would take 200 years to arrive and another 100 years to send a signal at the speed of light back to Earth announcing the good news. At that point, a settlement expedition traveling at .5C would take another 200 years to reach its destination—a total of 500 years. 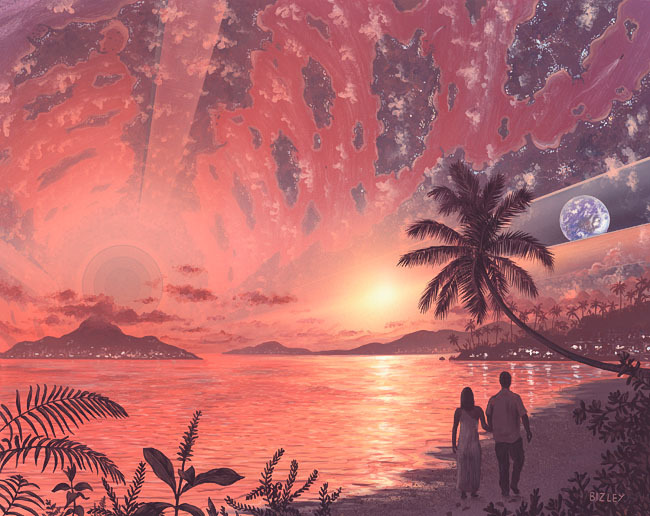 The analysis changes dramatically when we incorporate the implications of large-scale development of O’Neill-type space settlements within the Solar System. Then the star systems which are viable targets for interstellar settlement are not just those that have Earth-like planets, but all of those that have asteroid- or comet-like materials. Thus, within a group of 10,000 stars, instead of one system, we have nearly 10,000 systems that are viable locations for space settlements. It also follows that instead of a distance of 100 light years to the nearest viable settlement location, the likely distance is 4.3 light years, the distance to the nearest star system, the Centauri system. In other words, we obtain 8.6 years plus 4.3 years plus 8.6 years, totaling 21.5 years. The time from when a successful probe leaves Earth to the time at which a settlement expedition arrives at a viable location changes from 500 years to 21.5 years. Given this, the gain to humanity of settling all nonsolar viable territory (land area) on Earth-like planets within 10,000 star systems is very loosely equivalent to the land area of one Earth. 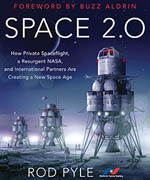 As discussed in one of my earlier Ad Astra columns (nss.org/spacemovement/ inevitability.html), there are enough material resources in the Solar System (not including the planets) to produce O’Neill space settlements with a combined land surface area equal to one million times the land surface area of the Earth. Given the additional reasonable assumption that the average amount of non-planet materials in the 10,000 star systems is equal to the amount of non-planet material within the Solar System, the gain to humanity of settling all viable territory available via producing O’Neill space settlements in the 10,000 star systems increases by a factor of 10,000 times one million or 10 billion. The difference between one and 10 billion has profound implications for interstellar space settlement and the future of humanity. Mark Hopkins is Chairman of the Executive Committee of the National Space Society. 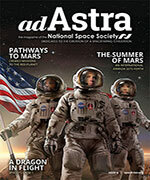 This article originally appeared in Ad Astra, Winter 2013.